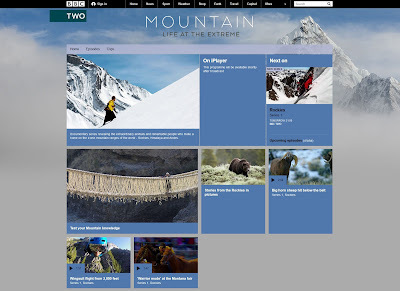 On Wednesday evenings at 9 pm starting 30 August, television network BBC TWO will be airing a new 3-part documentary series exploring three different mountain ranges: the Rockies, the Himalaya and the Andes. Each episode is more than a natural history program in that it depicts examples of both the "extraordinary animals and remarkable people" living in these extreme environments (quote credit here). Details on the final episode airing 13 September have not yet being released. 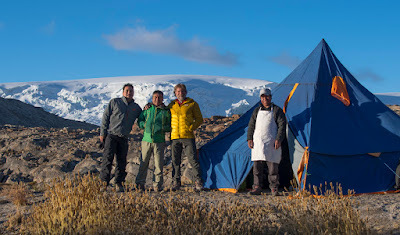 This post will be updated when they are - for it includes a sequence on our work at Quelccaya. 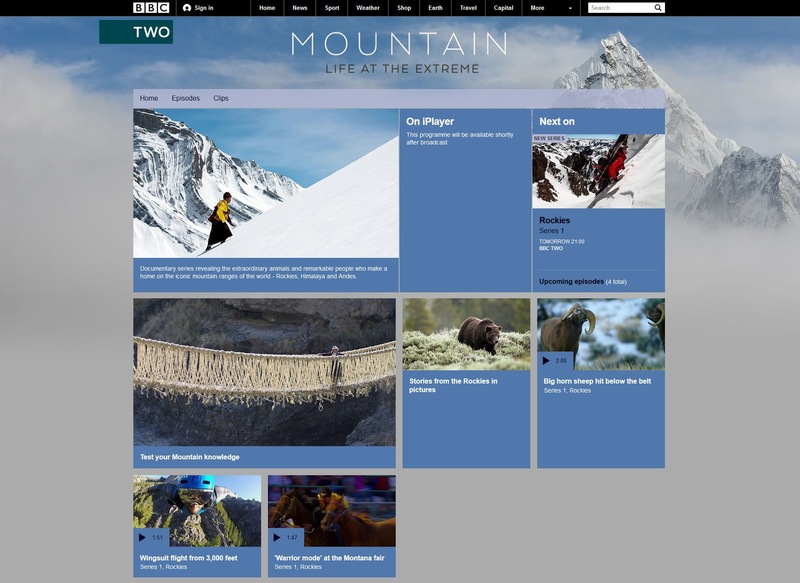 Unfortunately for North Americans, BBC TWO is not available. There will be rebroadcasts by PBS, but dates are not yet available. We visited Quelccaya for fieldwork during July this year and experienced a long interval of sunny, dry weather. Although July is solidly within the core winter dry season, the atmosphere was particularly dry at this time; the cloud visible in the background above was literally the largest we saw during our time at the ice cap. Below are two oblique views of the glacier margin, on the day that we arrived in the area (20 July) and the day we departed (27 July). Due to funding constraints, this was a relatively short trip. 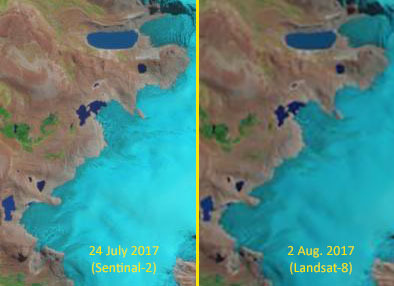 After 8 days of clear sky and intense solar radiation, some might expect to see more change in the transient snowline than the images show. In other years of fieldwork this has certainly been the case. This year, the areas of greatest apparent change over the interval are highlighted by the red ellipses. Although these areas were determined subjectively from the images, rather than measurements of snow depth, two clear-sky satellite images roughly bracketing the period reveal a similar pattern (see below). Why so little ablation of snow, within a zone which is both thinning and retreating rapidly in recent decades? Most likely, this was due to the combination of dry atmosphere and low wind speed during this interval. With a negative vapor pressure gradient due to the dry air, any available energy went toward sublimation, requiring ~8 times more energy per kilogram than melting. Furthermore, low wind speed suppressed turbulent transfer of latent heat. At the summit, relative humidity was typically ~10 percent (vapor pressure <2 hPa) and rarely rising to 50 percent during the afternoons. Despite little ablation during this brief interval of the dry season, recession of the ice cap in this area is accelerating. A subsequent post and paper will quantify retreat we have been measuring since 2008, revealing the profound changes associated with the 2015-16 El Niño event.